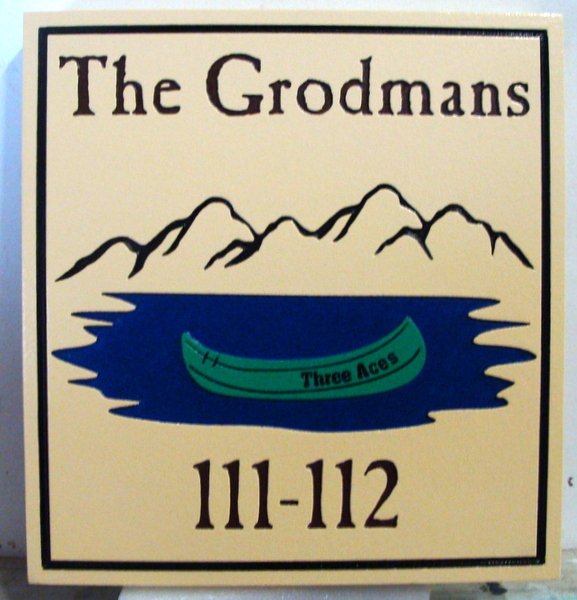 Shown above is the engraved address sign for a lake cottage with lake, canoe, and mountains. This cottage sign has been engraved (recessed) with our CNC router in 2.5D relief. The lake scene is carved at 2 levels of relief and then hand-painted. Two layers of clear-coat are applied to protect the sign against scratches and UV fading.